A short story that, nonetheless, conveys a lot in its meager ten pages. The adage about how what matters is the travel but not the destination applies here, at least from the point of view of the reader. Under a powerful geas, the two rogues set off to the distant and mysterious Bleak Shore across the vast ocean. Most of the story -and its better parts- is narrated by the only surviving Mingol sailor that managed to return from the deadly trip. And the fact that he only knows about the initial trip but not what Fafhrd and the Mouser did when they got there only makes it better. The narrator shift highlights and magnifies the sense of unreality and madness as he explains the foolish, inhuman, and almost suicidal behavior of their (as he suspects) charmed masters. The distance between his knowledge as a uniformed participant and what we actually know or suspect amplifies the dread and eeriness that could have been lost with a more detached or omniscient narrator. Like the scraps and fragments of a diary narrating the unexplained horrors of a failed expedition, sometimes not knowing creates a stronger effect than knowing. Another story with a ghostly theme, this one gave me a strong Edgar Allan Poe feeling, probably for the whole familicide and "vengeance from beyond the grave" themes. I enjoyed it, but your mileage may vary. I won't say more since I think it's better just to read this one. A story with a clear Lovecraftian vibe. This is also one of the best stories in this collection, and since they are all self-sufficient (although it is implied they are all connected and arranged in chronological order,) you can jump straight to this one if you want. Many stories that try to convey the Lovecraftian sense of horror fail for the simple reason that they go too far into the neurotic/psychological horror territory, going overboard by telling how shaken the protagonists are by the incomprehensible events they are witnessing, but we have little reason to believe it or care about things that are TOO incomprehensible. This is not the case here since the whole story depends on an -in isolation- plausible list of coincidences, which we later realize were the design of vast and malevolent intelligence. When reading the final scene, it occurred to me that the cloak-like creatures that are mentioned are somewhat similar to the D&D monster the Cloaker. Reading about it, Wikipedia mentions that a variant of the cloaker appeared in the Lankhmar – City of Adventure booklet (1985) for D&D. And the name of the beast? Sea cloaker. 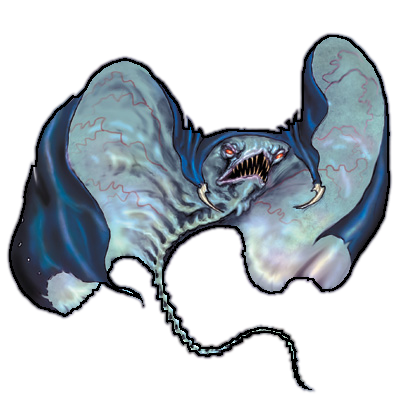 "An aquatic aberration native to, and mainly inhabiting, the sunken city of Simorgya, which means minimal study has been done, but the numerous similarities between them and cloakers has led many ecologists to speculate on a relationship. " There you go. I'm getting better at sniffing obscure D&D references. "I think they're unreasonably angry," Fafhrd asserted, scrambling to his feet. I like to imagine Leiber watching the Disney movie Snow White and the Seven Dwarfs (1937) and thinking to himself, Yeah, this is nice and all, but wouldn't it be better if the dwarfs were meaner, crazy, black, and worshiped a mind-controlling volcano god? Also, you know what? Screw Snow White and everything else, just keep the mad midgets. This must be one of the best sword & sorcery stories I have read (to be fair, I haven't read as many as others.) It has that bigger-than-life threat hanging over the protagonists, but the story in itself is quite lighthearted, focusing on the action and exploration, the fights (including one while skating on ice,) the comedic traps the priests set up, and the excellent banter between the two rogues. Nothing out-of-this-world, perhaps, but effective nonetheless. You can also read Jon and Nathan's more useful analyses. Agreed. Swords against Death is my favorite collection of Fafhrd and Grey Mouser stories. And Fritz Leiber as a twisted Disney? ...it would explain so much. Now, how do I get rid of that idea? You don't, that how meme magic works.